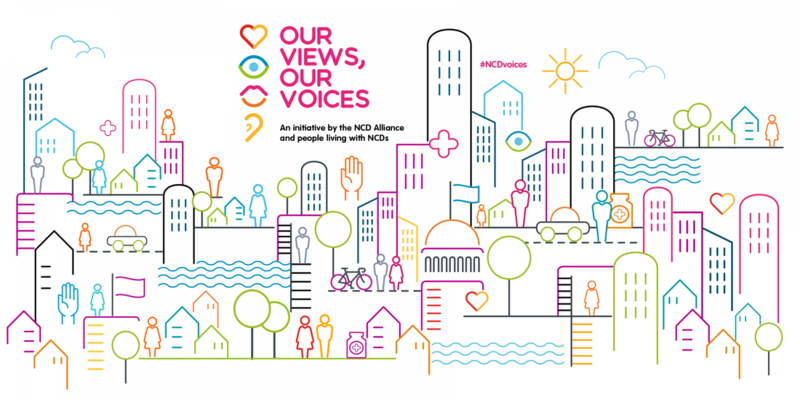 Members of the WHO GCM Community of Practice on Meaningful Involvement of People Living with NCDs have responded to the outcomes of the 3rd UN High-level Meeting on NCDs through a set of remarks highlighting priorities and recommendations on amplifying voices of people living with NCDs. The Community of Practice (CoP) is a platform to develop a shared understanding of the need for, and benefit of, the meaningful involvement of people most affected by and living with NCDs as a key element of the NCD response. The CoP, which is a safe space for members to engage in virtual discussions on topics related to meaningful involvement, conducted two discussions in the lead-up to the 2018 UN HLM on NCDs to identify key advocacy messages and opportunities to prioritise action on meaningful involvement of people living with NCDs in the NCD response at global, regional and national levels. Read the remarks of the members of the CoP issued on the occasion of the UN HLM 2018 here. The CoP for the Meaningful Involvement of People living with NCDs is hosted by the WHO-Global Coordinating Mechansim on NCDs and facilitated by the NCD Alliance. You can apply to join here.